Music can help the player to understand where they are and what might be going on around them. Most games are set in a certain ‘world’ and the music that you choose can help to introduce that ‘world’ to us. Players often benefit from having clues about where they are within this virtual environment i.e. where they are within the world and what level they are on. So, selecting and creating different themes and tunes for different settings can really help to enhance your game. If your game has a number of characters in it, choose the music carefully to suit each character. Many games have specific theme tunes for their key characters and this helps players to distinguish between them and to build an emotional connection with them. For example – heroes and villains are usually made to sound very different – so when you listen to the music for a game, you should be able to identify which one you’re dealing with! Music can help to indicate to players that something has changed. Perhaps you have entered into enemy territory, or maybe you’ve run out of resources. Whatever it is – if something has changed, the music can help to signal to the player to take note of this. Like films, many games have a story and will want to take you on a journey. Great game music will support this and bring your story arcs to life. If you want your game to fully immerse a player and to connect with them emotionally, music is the key to doing this. If your music is thrilling and exciting, it will make people feel excited to play your game. That is why so many of the big games have epic theme tunes which are memorable, grand and quite exhilarating to listen to. Need help with music for your game or project? Game music is my specialty, so I’d be more than delighted to help and to learn more about your wonderful project! Get in touch now to see how we can work together or explore my game music soundtracks to get a sense of my work. 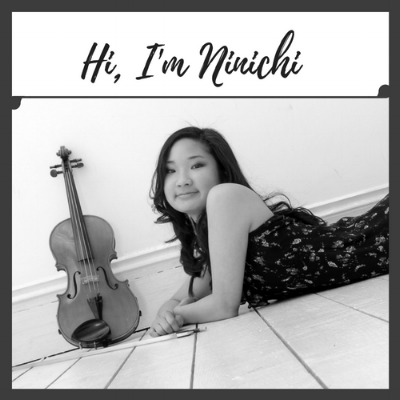 About the author: Ninichi is a game music composer and musician. She is the in-house composer for games company Quinton Studios and enjoys working on a range of freelance composing projects for games, film, media and other commercial uses. Find out more about her game music and contact her to discuss your project and music needs.